In the past three years, I have traveled to the NASA Ames Research Center in California, ate a casual dinner with a four-star French general, and wandered around the French equivalent of the White House. None of this would have been possible without the GW Debate & Literary Society, also known as GWDebate. GWDebate is more than your high school debate team. The team is a communications society, and while we go to traditional debate tournaments we also work on what we call civic debate projects. As a part of civic debate projects, we partner with civil society organizations for advocacy projects. In the past few years, we have partnered with NASA to talk about the morality of space exploration, the French Embassy in the run up to the 21st Conference of Parties in Paris, and the Indonesian Tourism Ministry to develop sustainable tourism plans. One of the major goals of GWDebate is advocacy development. Via our participation in multiple kinds of debate, we learn how to communicate with any possible stakeholder. During the 2015-2016 year, the team worked on the NASA Astrobiology Debates, in which we worked in partnership with NASA to create scholarship on the morality of space exploration. I was lucky enough to debate in the final round of the NASA Astrobiology Debates Western Championship. As a part of that round, I advocated for the preservation of extraterrestrial microbial life in front of an amazing panel of experts, including the current head of the NASA Astrobiology program, the former head and founder of the NASA Astrobiology program, and a former astronaut, among others. As an international affairs major these were people that I never would have imagined being in the same room with, let alone having them take my opinions on astrobiology seriously. 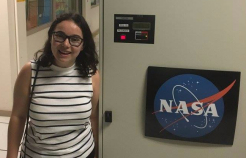 I then got to take the skills that I used in the debate space into the real world with a trip to the NASA Ames Research Center, where I spoke with scientists, lawyers, and students about the future of space exploration. Debate has taught me how to advocate, how to talk to people, how to build an effective argument. and how to be a professional. The other focus of the GWDebate team is professional development. Each project that we undertake is designed to help members of the team develop our professional skills and achieve our career aspirations. During my freshman year, I was presented with the opportunity to intern with the French Embassy’s Cultural Services Department. In my role at the embassy, I helped to plan the Lafayette Debates, a tournament that was comprised of nearly 100 students from three different countries. I also gained experience in website upkeep, running online competitions, and professional communications. As a topper to my internship, I traveled to Paris as a part of the French Embassy’s Young Ambassador’s Program. In Paris, I had the amazing opportunity to meet with senior level French, British, and American diplomats in advance of the 21st Conference of Parties. This initial opportunity helped to set me apart in the subsequent interviews that I went into, and developed my collegiate resume. Employers say that communication skills are some of the most important attributes that they look at when considering a candidate. My journey with the GWDebate team has led me to a lot of places, including upstate New York, Paris, France, Mountain View, California, and a few random rest stops in New Jersey. But more than the places to which I’ve been, debate has taught me how to advocate, how to talk to people, how to build an effective argument. and how to be a professional. These skills will be with me long after graduation and into my career. Okay, maybe it’s not the greatest idea to totally forget about your degree – and I highly recommend you keep studying for those exams. With that being said, throughout my four years at GW and the (almost) two years since graduation, I have found that networking is the single most important thing you can do for your career. Let me repeat, networking is the single most important thing you can do for your career. Can networking be construed as selfishly advantageous? Sure it can. But fortunately or unfortunately, it is the way the game is played. Making those personal connections is crucial because you are no longer just an applicant on paper; you are a personality and a resource that stands out from the rest. Let me preface this by saying I studied international affairs and, therefore, can only speak to pursuing a career in that field. However, I suspect that many of my peers, particularly those with bachelor’s degrees, are in the same boat. In this line of work, whether it is in the government or private sector, getting to know the professionals who are already in your desired field or who have experience working with them is the best way to break into the field. We all know that this generation of recent or soon-to-be graduates face some of the toughest employment odds in recent history. This is largely due to the fact that there are more educated young people looking for work than there are jobs to employ them. Getting your undergraduate degree is no longer a sure-fire way to gain employment at the end of your four years in college. So how do you improve your odds of landing that dream (entry-level) position? You’ve got it: networking. Making personal connections is crucial because you are no longer just an applicant on paper; you are a personality and a resource that stands out from the rest. One of the main reasons I chose to attend GW for my undergraduate career was the endless internship prospects. Living in D.C. provides opportunities unlike any other school in the country and maybe the world. Take advantage of that! Be sure to form solid bonds and even friendships with your supervisors and bosses. Take chances during your tenure and show off your skills. When you leave your internship, be sure to keep in touch and let them know what you’ve been up to. When it comes time to look for employment, you will be able to reach out to your past colleagues and ask them for contacts in their field or ideas on where to apply. You can even use them for references! Although it may not always feel like it, your professors are actually rooting for you. If you have one or two professors with whom you have either connected or who teach a subject that particularly interests you, ask if they’d be willing to help you. 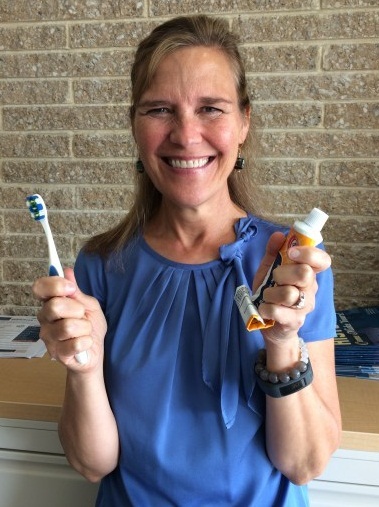 Many professors have a long history of working in their field before joining the GW team, and therefore have contacts and connections that could prove useful to you. Ask for advice and direction on how to navigate your industry; and I promise you will walk away with a slew of new options, ideas, and support. Another networking resource that we sometimes forget is the GW Center for Career Services. Imagine this: an entire team of amazingly talented people whose primary focus is to help YOU find a job. From assistance with fixing your resume; to sharpening your interview skills; to narrowing down your ideal organization; the Center’s career coaches can help with all aspects of the pre-employment process. This resource doesn’t stop once you graduate either. As a GW alumna or alumnus, you can use the Center at all stages of your initial career search, and I recommend you do! The Center helped me narrow my job search and focus my applications on organizations that were best aligned with my interests and skills. This is perhaps the most untapped source for networking, but in my case, it proved to be the most effective. After finding out that I did not receive a position at an organization that I was extremely interested in, I was not quite ready to close the door. I decided to add something extra to the traditional “I am disappointed but thank you for your time” email. I reached out to my interviewer, who also happened to be the vice president of the organization, to see if she would be willing to sit down with me to provide some feedback. I wasn’t necessarily looking for feedback on my interview, but rather her advice on career paths for women in my field. This can be intimidating, especially knowing that these professionals have a lot on their plates and rarely have time to eat lunch, let alone take twenty minutes to get coffee with you. However, in many cases, they know and understand the difficulties of looking for a job and are willing, and even honored, to impart their wisdom on the next generation of workers. In fact, you may very well find a lifelong mentor. In my case, I did this twice with the same organization, and on the third time, I was hired! Vigilance is key. I recommend using all of these options as you never know from where you will receive your big break. Networking can be exhausting and at times also discouraging. But with perseverance and a little confidence, it can make all the difference. Author bekrausPublished on July 20, 2017 Leave a comment on What Are Your Top 5? 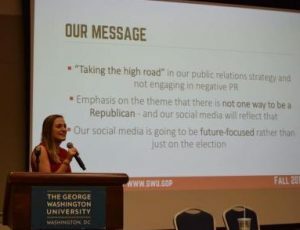 This fall GW College Republicans had the incredible opportunity to work with GW Center for Career Services (CCS) as part of our Executive Board leadership retreat. During our retreat, members of our executive board came together, took the StrengthsQuest™ assessment*, and discussed our different strengths with a CCS Career Coach. The assessment had 34 different themes. Out of these, 5 would be our individual top strengths. On our board, we had Achievers, Includers, Woos, and everything in between. The StrengthsQuest™ assessment put into words what our different strengths were and how we could use our respective strengths to further not just ourselves but our board as a whole. The Career Services Coach worked with us to learn how to use these tools to apply what we learned about our strengths to our work on the College Republicans Executive Board. The College Republicans leadership retreat was my first experience working with Career Services, however, it will not be my last. The Center helped me not only better understand my own strengths but helped me understand the strengths of my peers as well. This enabled me to understand how I could not only better contribute to College Republicans Executive Board but also how I could use my strengths to collaborate with my fellow board members on future projects. Our key strengths were different, vastly so. However, these differences – highlighted by Career Services – illustrated to us what made our board great. Our strengths, no matter how different, could be used to better our organization. Everyone has different strengths. The GW Center for Career Services team helped us understand what the strengths of members of College Republicans Executive Board were and how to better apply them. The Center also illustrated to me how I can apply my strengths beyond my work on College Republicans Executive Board. 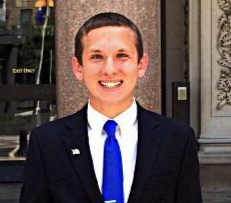 I can apply my strengths in the classroom, at my internships, and in other organizations. The lessons that I learned during our leadership retreat will help me in my career development long after I leave College Republicans Executive Board and George Washington University. *If you would like to learn more about identifying your strengths register in GWork for an upcoming “Know Your Talent and Find Success With StrengthsQuest™” assessment workshop. Upcoming sessions: Feb 27, March 7, 22 & 31, and April 4 & 17. You may also schedule an assessment appointment in GWork with a Career Exploration & Assessment Coach from the Center for Career Services. Published on July 20, 2017 Leave a comment on What Are Your Top 5? From a young age, I have always been motivated by the power to create positive change. This passion for advocating for others beyond myself was always something with which I grappled. How could I turn this passion into something that I could work towards every day? How could I help the most people? I found that the answer to this call was for me to connect people with politics. When Senator Barack Obama (D-IL) was first elected to the presidency of the United States in 2008, I was ten years old. Growing up during the Obama Administration, I had always admired the work that was being done. However, the young girl wearing an over-sized Obama t-shirt staying up past her bedtime to watch the election results from her couch never imagined she would one day be able to see firsthand how the work happens within the White House. 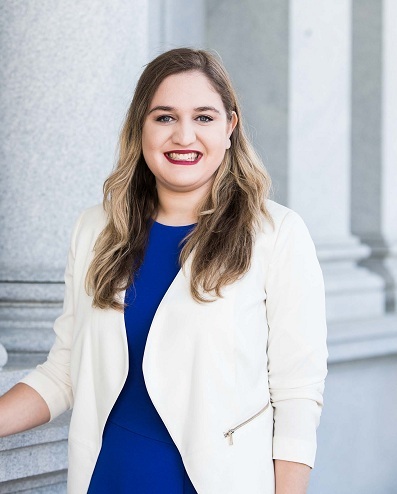 Serving as a White House intern one thing became clear to me: the Obama Administration worked tirelessly every day to ensure every American had a fair shot and would be able to reach their full potential regardless of their zip code, gender, religion, or race. As an intern in the White House Office of Digital Strategy (ODS), I was able to witness this commitment hands-on and engage people across the nation to amplify the president’s message. From drafting content for the official White House social media channels such as Twitter, Facebook, and Tumblr, to authoring blogs on such topics as women’s rights, education, climate change, and making a difference in one’s community — ODS provided a collaborative, creative, and meaningful workplace for me to learn and explore how the Executive Office of the President uses digital tools to further engagement with the American people. Additionally, I had the opportunity to help out with the first-ever White House festival, South by South Lawn, and attended a weekly speaker series with senior White House officials that had included the president himself as well as First Lady Michelle Obama, Vice President Biden, and many others. Overall, my experience as a part of the White House Internship Program, specifically as a member of the incredible ODS team, helped support my passion for public service and inspired me to work even harder to ensure equal opportunity for all and to take what I had learned back home to my community in New York and to my life here as a student on campus. I remember on my first visit to George Washington University on Admitted Students Day, I had sat on the pavement in front of the White House with my mom and imagined one day walking through the gates behind me. From the four blocks between GW’s campus and 1600 Pennsylvania Avenue, there is almost a palpable feeling that one can create change in the world. As GW students, we are uniquely positioned to go out and make the world a better place. My internship at the White House helped solidify this belief. If we as students, friends, and citizens, can all come together and create innovative new approaches to the challenges in the world, there will be nothing that we cannot accomplish together. 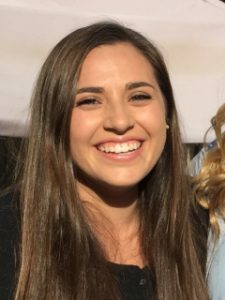 Jazmin received funding support for her Fall 2016 internship at the White House thru a grant from the GW Knowledge in Action Career Internship Fund (KACIF). If you would like to review KACIF funding options for your Summer 2017 internship, please review information on the program and application timelines and procedures at go.gwu.edu/internfund. The KACIF Summer 2017 Early Decision application period began February 15, and runs thru March 1, 2017; the Summer 2017 General Application period will run April 1-15, 2017. As you study in Gelman and drown your sorrows at Tonic, you will often overhear other students, both undergraduate and graduate, discussing their many internships and jobs. 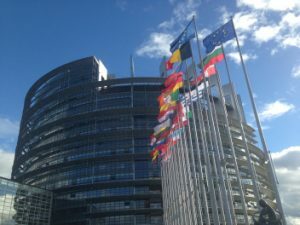 Although the tan you acquired in Barcelona and the impeccable accent you gained while studying in Guangzhou province are both nice perks of study abroad, you may be left feeling bereft after returning to campus from abroad while your classmates were gaining valuable work experience and additions to their resumes. However, your study abroad experience can be used to communicate to employers about your skills, interests, and capabilities in a much more specific way than a basic job or entry-level office position. Below are ten areas in which your study abroad experience can help during your job search and job application process in order to achieve your career goals. For interview preparation and instruction, you can schedule an appointment with Center for Career Services to conduct a mock interview and get constructive criticism. While writing a cover letter, it’s important to demonstrate how your specific skills and qualifications match up with those mentioned in the job announcement. When a position mentions qualities such as initiative, leadership, and adaptability, it can be a good idea to tie in your study abroad experience. An example of this may be describing how you conducted research in Nepal as part of a CIT program in order to analyze the detrimental effects of tourism. You can then tie this experience back to a position, such as a research assistant position or an outreach role, and demonstrate your qualities of initiative and curiosity. For more help on how to write a successful cover letter, visit Career Services for cover letter critiques, which can be done in-person and online. By studying a language via immersion, you are demonstrating a commitment to gaining and improving a valuable skill. If you don’t continue studying the language when you return (which you should continue if at all possible), make an effort to write down what you learned and how that influenced your experience of living in that country. Telling an interviewer, “While studying abroad in Nairobi, I studied and practiced Kiswahili in order to connect more with my host family,” is an effective way to demonstrate that you took the initiative to deepen your time abroad in a meaningful way (you don’t have to tell an employer if a program required that you take a language). Every job announcement is essentially a guide to writing an effective cover letter and resume for that position. Scan the announcement and search for adjectives such as the examples below in order to determine if mentioning your study abroad experience can improve your chances. If you’ve just returned from studying abroad, some of your most recent essays and papers will likely have been written abroad, and hopefully are the highest quality of work that you’ve produced during your time in college (as a result of being the most recent). Research assignments completed while abroad can be effective writing samples since they have a more educated or informed perspective on the topic. After returning to GW, go through your files and put together a folder of the best essays you wrote while abroad. This can help during your job and interview search when an employer requests a writing sample. When federal departments, agencies, and programs require employees to travel abroad for work, it can be beneficial to share that you’ve traveled abroad, either academically or for “personal exploration,” when you’re applying for one of those positions. By sharing details of your time abroad and the program you attended, you can demonstrate that you can handle yourself abroad and that you know how to travel effectively and efficiently. If you’re interested in working abroad on behalf of the United States, you should look into the Peace Corps, the State Department’s Foreign Service Officer position, as well as job announcements from the USAID. If you’re interested in applying for an internship program abroad, such as the IES Internships program in Cape Town, travel experience can be beneficial in informing an employer that you can complete the work and projects assigned to you despite the new environment, because you’ve gone abroad before. When applying for a job abroad, demonstrating to employers such as international organizations or global corporations that you’ve lived abroad before and can thrive in a dynamic, challenging environment can make you appear more attractive as a candidate. Businesses that advertise positions on campus are not always offering jobs within the metropolitan DC area. When Williams-Sonoma advertises positions at their San Francisco headquarters, feel free to mention to the recruiter that you would feel comfortable relocating due to previous experiences internationally. Businesses often have concerns about the success of entry-level employees that have to relocate due to exposure to a new city, climate, and other environmental factors. Demonstrating proficiency in these areas can help reassure employers that you are not only a good candidate but will succeed in the position itself. 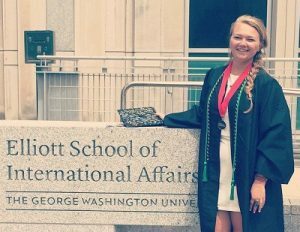 If you’ve studied abroad, you shouldn’t feel upset or that you’ve wasted your time just because you didn’t spend the semester slogging as a congressional aide or working at a retail position. The incredible experiences and joy you got from your program and the friends you made are all invaluable, and shouldn’t be shadowed by concerns about your career goals and future job prospects. If you’re still concerned about getting an internship or job, go to the Center for Career Services in the Marvin Center for help with all aspects of the job search and application process. When I was a freshman here at GW, I was in the School of Engineering and Applied Sciences. I was so impressed with the program and the people I met through the school. However, after taking a few engineering introduction courses, I found myself more drawn to the profession of optometry. In my second semester, I met with three advisers who could help me make the final decision to switch career paths: my engineering advisor, a pre-health advisor from the Columbian College of Arts and Sciences, and a career coach here at GW. I wanted to hear everything I needed to in order to make the correct decision in transferring from one program into another, so I took advantage of these resources provided by GW. After shadowing multiple people in the profession and speaking with all three of the GW advisers, I finally felt comfortable and confident in changing my entire academic and career plans to pursue optometry. Not only that, but I received invaluable advice and aid in preparing to apply to optometry school from these advisers. Before I knew it, the application cycle was here, and I felt prepared as an applicant thanks to the help from these advisers. Today, I have already been accepted into one optometry program, and I am still applying to one more. The moral of the story is to never be afraid to seek help if you need an outsider’s perspective. It’s okay to be clueless and seek the aid of others when you need it. Whether it’s trained advisers, family, or even simply your friends, never hesitate to reach out and confide in others. We’re human, we don’t always know everything. Without the guidance of my family, friends, and these three advisers, I probably would not have been as strong of an applicant as I am now. Following in the footsteps of the First Annual GW Women in STEM Symposium, this year’s installment was an even greater success. While last year’s symposium was a skills-building event planned by GW graduate students (like myself), faculty, and staff, this year’s symposium was spearheaded and largely funded by the appropriately named undergraduate student group, GW Women in STEM. With additional funding and support provided by the GW Center for Career Services, the Office of Alumni Relations, and the W. Scott Amey Career Services Center, the second annual GW Women in STEM Symposium took place November 5, 2016, in the Science and Engineering Hall. The key to this year’s success was rooted in the participation of a diverse, exceptional group of women who work in the DC area. The day began with keynote speaker Dr. Julie McEnery, the Fermi Project Scientist from NASA’s Goddard Space Flight Center, who reflected on her unique career path and provided some tips for women to be successful in STEM careers. One point that particularly resonated with me was Dr. McEnery’s suggestion for women to be flexible, and to take chances on the variety of career opportunities that may come our way. This is crucial to building a repertoire of diverse experiences and skills. We then heard from career coach Kelsey Johnson, who discussed how we can best use our personality types—determined by Holland Codes— to our advantage in our chosen fields and careers. Whether you are realistic, investigative, artistic, social, enterprising, or conventional (RIASEC), it is essential to know yourself and what you excel at, in order to find and secure a fulfilling profession. During lunch, attendees were able to network with industry representatives, GW faculty, and GW alumna, with whom they shared a RIASEC personality type. The conversations and connections made during this lunch were useful for the students to help them figure out questions to ask during the next part of the event, the ‘Ask the Professionals’ Panel. The nine women on the panel spanned all career stages and represented many STEM fields including anthropology, chemistry, physics, engineering, mathematics, information technology, medicine, and the health sciences. After each panelist briefly described a typical day in their life, attendees asked questions such as “What do you do to feel powerful in the workplace?” and “Is it better to follow your passion or to have a more practical job?”. Following insightful responses from the panel, we all broke into small groups to discuss lessons learned from the day. After each group reflected on what they learned, Dr. Meghan Coakley, the Project Manager for the National Institutes of Health 3D Print Exchange, facilitated a discussion to wrap up the symposium. Dr. Coakley’s takeaways reminded us of the major themes of the day: 1) career path is an evolution, 2) skills are translatable, 3) we should embrace stereotypes and then defy them, 4) whether being a woman affects your career can vary, 5) find a network of people that will support and inspire you, and lastly, 6) be confident! Though the symposium was geared towards undergraduates, it was clear that all of the programming was applicable to any woman in the room, no matter what stage of her career she was at. I certainly learned things that I will carry with me throughout graduate school, and through whatever lies for me beyond. Looking forward, I know that the third annual GW Women in STEM Symposium will not be an event to be missed! 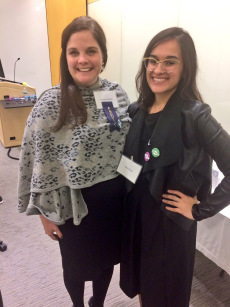 Photo info: The author (right) with her mentor Dr. Kirsten Brown, one of the symposium’s panelists, and an assistant professor and director of gross anatomy in the School of Medicine and Health Sciences. I always knew that I wanted to dedicate my career to something bigger than myself. As a Human Services major, I saw injustices taking place in the D.C. community, and swore that I would somehow be a part of empowering marginalized individuals. However, as my junior year began and graduation loomed, I worried that I would have to sacrifice inspiration for income – at least for a while. I wondered if I could find (and more importantly, get hired for) a job that shared my desire to change the systemic issues I saw every day. I wondered if I would have to settle for doing well and put doing good on the backburner. On a whim, I registered for the GW Fall Career & Internship Fair a month after I began my junior year. I walked into the Smith Center and was immediately overwhelmed by booth after booth of recruiters swarmed by my peers. I clutched my resumes and weaved through sign-up sheets, flyers, and briefcases, hoping to find someone in this giant room with whom I would resonate. I spotted a booth with a name I had heard of but didn’t know much about – Teach for America (TFA). Having just finished a summer teaching fellowship, I figured it was worth it to at least sign up for their listserv. I met the GW recruitment director, Deanna, set up an informational meeting, and moved on to the next booth, not realizing how much this simple interaction would change my career trajectory. One week later, I met Deanna in the Marvin Center lobby, prepared to rattle off a laundry list of my “Hillternships” to impress her. She opened our conversation from a vastly different perspective, describing her experience teaching in inner-city Philadelphia. She told me about how witnessing educational inequality first-hand angered, shocked, and motivated her to change the system as a whole. She then asked me about the experiences I had that brought me to TFA. We spent the majority of the meeting talking about social justice and equity and about how teaching in and learning from an under-resourced community could contribute on both a micro and macro level to the change I wanted to see in the world. This first meeting was when I initially saw how movement-driven Teach For America truly is, and I knew I wanted to be a part of it. I applied to Teach for America that January, after several more conversations with Deanna and GW alumni who were currently teaching with TFA. I felt incredibly supported every stage of the application process; TFA provided resources and information that allowed me to enter each round feeling prepared and confident. I remember opening my application portal and breaking into tears when I saw that I had been accepted, and better yet, had been placed in my new home, Washington, D.C. Even though I had more than a year left until my summer training would begin, I could not wait to get started. Today, I have a lot in common with most of my peers. I am a senior struggling through a thesis, working a part-time job, and preparing to launch into a long-term career of social impact. However, TFA gave me the opportunity to craft each of these typical experiences to a field that I love and work that I’m passionate about. I’m writing my thesis on culturally-relevant education in DCPS to better understand which techniques I can bring to my classroom next year, I work with the TFA recruitment team as a Campus Ambassador to encourage my incredible peers to join this movement, and I’m applying for teaching positions in a community I love with the help and support of an organization that truly believes that all kids deserve access to a high-quality education. I remember how scared, lost, and unsure I felt walking into that career fair over a year ago. I couldn’t have guessed then that I would have the foundation of a career now – much less one in which I believe so deeply. As you begin or continue your job search, I encourage you to seek a career that not only sets you up to do well but also gives you an opportunity to do good. I encourage you to find an organization that not only employs you but also inspires you. 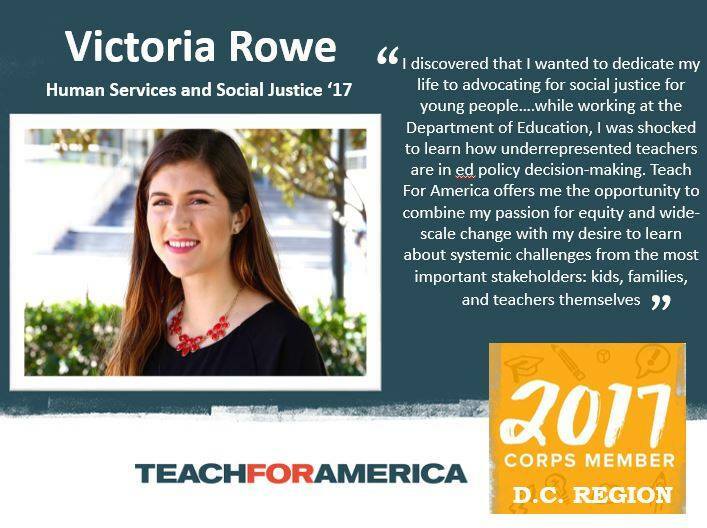 Before even entering a classroom, Teach For America has changed my perspective, my goals, and my life; I encourage you to let it change yours too. If I had to name two “secrets to my success” – they are being present and being grateful. While there is plenty of research to support the benefits of mindfulness and gratitude (here’s a great article in the Harvard Business Review) I’d like to speak from my personal experience. A million years ago (aka the 80s) when I was in college, I was clueless about what I wanted to study, and certainly about what I wanted to do after graduation. Career services, as we know it today, was in its infancy and I found myself on a path that was far from linear and with plenty of bumps in the road. My journey eventually led me to higher education and eventually the light bulb went off – perhaps my journey didn’t have to be that difficult and perhaps I could help other students so their path might be easier. That is the short version of how and why I got into career services. As I reflect on my career, I can say with confidence that the moments in time when I’ve had the most success and the most satisfaction, were the moments that I’ve been totally present and when I’ve been grateful for whatever is in front of me. Ironically, some of the best examples of this are the seemingly insignificant ones. Some mornings I am going about my morning routine, getting ready for work, and I can’t remember if I brushed my teeth. I have to feel the toothbrush to see if it is wet – seriously. Those days typically are not banner days for me. However, on the days that I am paying attention to what I am actually doing – when my mind is where my body is – I can get filled up with gratitude for things like…. clean running water …. toothpaste that takes away the yucky taste in my mouth… having teeth to begin with! Once I start down the mindful path of gratitude, my day is already better. My perspective has changed and I am filled with abundance rather than worry about whatever it was that was distracting me in the first place. And here’s another bonus. Being grateful is contagious. I share a daily gratitude list with my dad who just turned 85. Every day we email each other with 3 things we’re grateful for. No “hi dad”, no “love from Rachel” just the date and our three things – every day. My dad confessed that in the beginning it was hard for him to come up with the 3rd thing (and between us, sometimes his third thing was kind of out there) but guess what? Now there are some days in which he has *more* than three things. It just works that way. As I reflect on my career, I truly believe that my success hasn’t been based so much on what I was doing, or where I was doing it, but how I was doing it. When I am present, I can really listen to what others are saying; I can see possibilities; I don’t feel as stressed or stretched and can be and share my best self. Sometimes this is hard to do – especially when I’m caught up in the business of being busy – but I urge you to try. Take a breath – think about where you are – right now. Be present. Think of something you’re grateful for and soak it in. If it works, keep doing it; if it doesn’t work, keeping trying. This is a powerful tool you can use at any time and in any situation – especially when you’re feeling stressed – and even when you’re brushing your teeth. I was raised on the belief that anything worth having must be achieved through hard work and perseverance. Since beginning my collegiate career at the George Washington University in 2013, I have used this wisdom as motivation to propel my professional and academic life further and to achieve feats that I had once only been able to dream of. I have had the pleasure of working for Squire Patton Boggs LLP, the United Nations, the Republican Governors Association, the American Enterprise Institute, Congressman Rodney P. Frelinghuysen, the Coalition for the National Museum of the American People, two competitive political campaigns, and several other unique employers. These experiences have inundated me with a wealth of knowledge and skills for the fields in which I am most passionate about pursuing a career. I have developed as a professional with each new challenge, new project, and new deadline with which I have been confronted through each of these experiences. These experiences have helped reaffirm my passions and have challenged me to push myself out of my comfort zone in order to get the job done. Like most seniors, the anxiety that I felt regarding finding full-time employment after graduation was immense. However, the Center for Career Services was there to make this process easier every step of the way. My career coach, Julia Browne, helped bring clarity to this process and helped best prepare me for success and happiness. As a result of our meetings, I learned the ins and outs of the job application and job-selection process and gained confidence taking this next step in my life. Ms. Brown patiently and thoroughly answered my many questions and helped calm my many nerves regarding the process. My job search culminated in an offer for the position of my dreams. All of the stress, all of the nerves, and all of the anxiety that this process brought upon me paid off when I signed my name on the dotted line to accept my offer letter. Professional development and the job search process are a team effort. Do not let the feelings of hopelessness that come with the hundreds of applications, countless interviews, and complicated negotiation processes overwhelm you and limit your potential. The George Washington University and Washington D.C. offer a plethora of resources and opportunities that allow students to take the first steps towards pursuing a meaningful and successful career. However, these resources and opportunities will not simply come to those that allow their collegiate career to pass them idly by. As my undergraduate career nears its end, I can confidently say that these resources and opportunities have been invaluable to my development both as a professional and a person. I strongly urge you to not let these resources and opportunities pass you by and to maximize the utility of your time at this university and in this city by being bold, being proactive, and by never letting anything get in between you and your pursuit of your dreams.